On Shadowhunters this week, Clary and Jace race to find the Mortal Mirror before Valentine and Jonathan do, Maia struggles with her feelings for Simon, Alec lies to Magnus, and Izzy can’t help but feel overprotective of Max. As season 2 continues to develop in interesting ways, here are the most important things to know in episode 17 – A Dark Reflection. 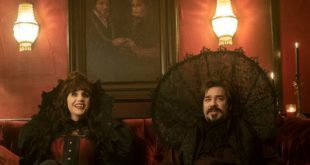 Throughout the entire episode, Clary is adamant about not judging her brother Jonathan even if he has demon blood because he’s only had Valentine to teach him about life. Jace though is not as easily convinced. He thinks the other man is dangerous because of the demonic blood. She then shows the other Shadowhunter the box her mother used to cry over that contained her brother’s baby boots and a lock of hair so that they can track him. However it’s empty when they open it because Sebastian has already taken the contents so that he wouldn’t be discovered. 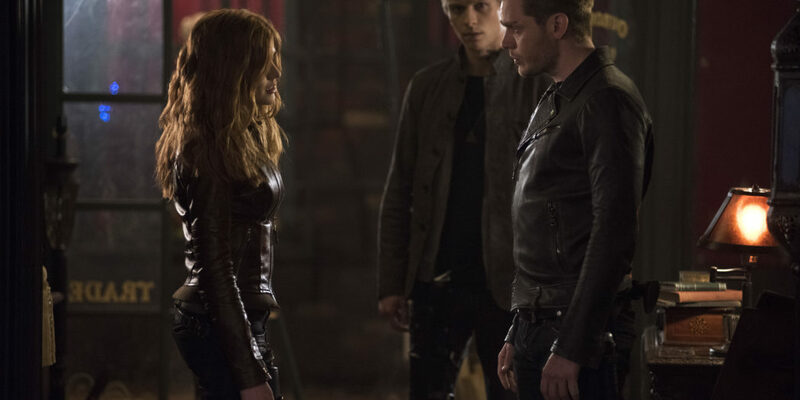 When he talks to Clary privately about her brother (unbeknownst to her on his true identity), she tearfully tells him that she’s had so much family taken away from her already and if there is any trace of humanity left in him, she wants to save him. Feelings for his sister overtake him and he kisses her, but she pushes him away in surprise soon after. He apologizes and tells her that he will always be there for her. Despite what Valentine tries to tell him, Sebastian genuinely believes that Clary loves him and that he loves her. It is true that in his own way, he loves his sister because throughout his whole life he’d been told that he was a monster who couldn’t be loved and now she’s given him hope that another person truly cares about him. Clary is kind-hearted wants to try and help Jonathan whom she believes is being manipulated by their father. As Cleophas is unable to currently fix the Soul Sword that is in Jonathan/Sebastian’s possession, Valentine decides that they need to find the other Mortal instrument, the Mortal Mirror. With all three relics, he intends to raise the angel Raziel in order to be granted a wish (to destroy Downworld). He sends his son to a warlock named Elliot Norris who owns a bookshop for it’s location. At the store, Sebastian grabs the other man’s wrist to show a sigil of sorts and he demands to know where the Mirror is. The warlock though then casts a ball of flame that sends the younger Morgenstern through the window. 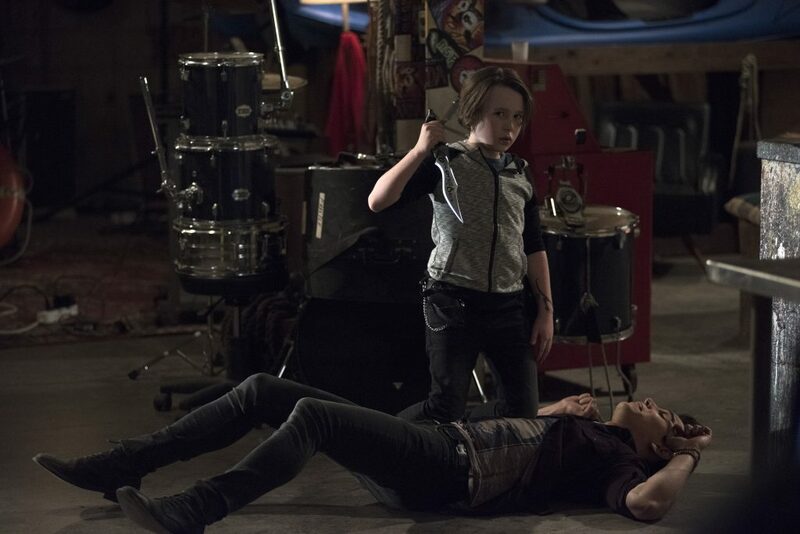 Sebastian’s temper flares and he returns inside showing his true form but is stopped from killing Elliot by Valentine who says that they need the other man alive. 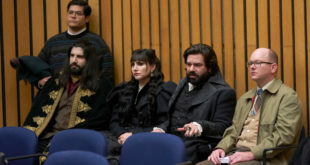 Despite torture, the warlock is unwilling to reveal the mirror’s location, saying that he promised Jocelyn. Looks like Clary’s mom had also been the one to hide it from her husband’s grasp. Before the Morgensterns can take Elliot back to their hideout, he chants a suicide spell and the sigil vanishes from his wrist as he dies. Angry, Val tells Jonathan to head back to the Institute to scour the archives to find out what happens to that mark. Sometime later, Clary and Jace arrive at the scene after Dot came to the Institute and showed the duo and Alec the sigil that appeared on her wrist. Dot explains that Jocelyn entrusted Elliot with the mirror and then he in turn entrusted it to her in case anything ever happened to him. She can figure out the location through the mark but it’ll take some time. 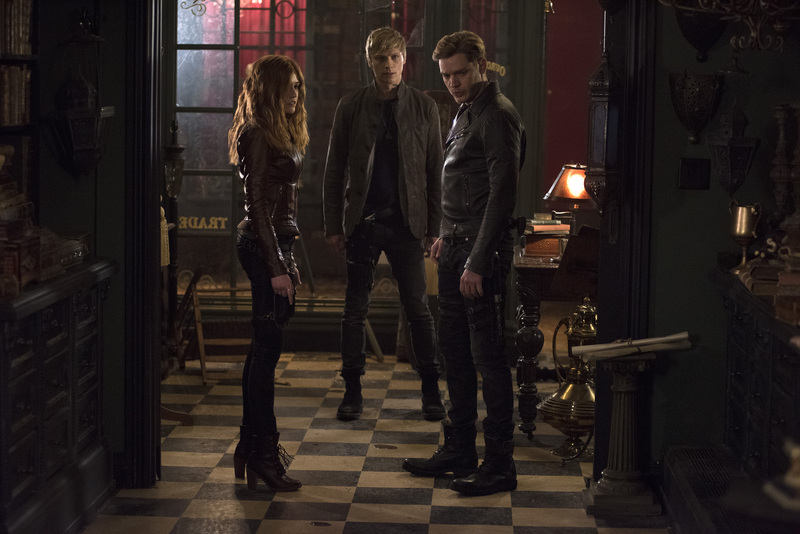 Clary and Jace then go out to the Ouroboros book shop to see what happened and they find the warlock’s dead body. She also notices dead flowers inside and realizes that her brother Jonathan had been there. Cue Sebastian’s arrival as he says that he saw an alert from the Institute and came as backup. Back at the Institute, Dot is able to pinpoint a few possible locations for the mirror and Clary recognizes one of them as a park that she used to visit with Jocelyn frequently when she was a kid. Clary believes it’s there because her mom would know that she would remember this location. Soon after Sebastian comes to her room and he says that he’s really sorry about her friend’s passing. She opens up about how people she cares about keep dying and so if there’s any goodness left in her brother she wouldn’t want to lose him too. As mentioned earlier he kisses her, overwhelmed with his own emotions that here’s a person who really cares for him but is rebuked because Clary is still reeling from her break up with Simon and her feelings for Jace. 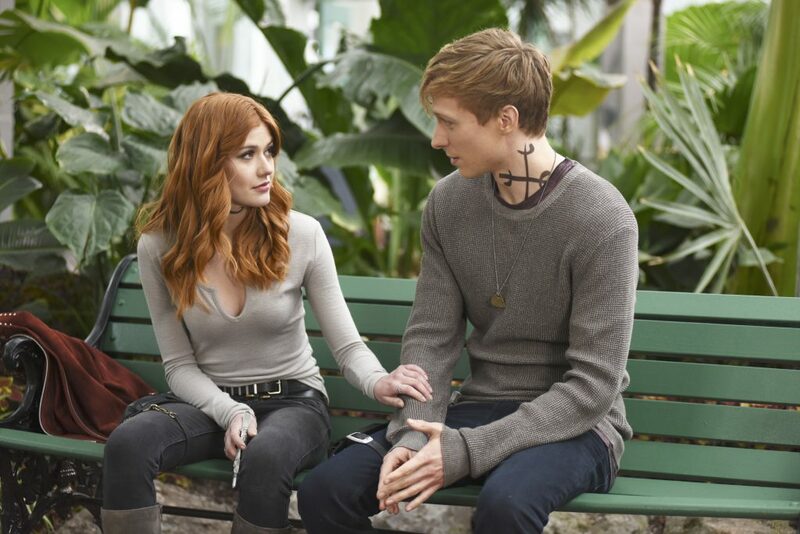 Will Tudor and Katherine McNamara have some real chemistry though and their scenes are such a pleasure to watch. After she leaves, Sebastian takes one of her hair ties in order to track her and get the mirror himself. He follows his sister, Jace, and Dot to the park where the warlock is able to retrieve the mirror from some kind of hidden dimensional pocket of space. Sebastian then makes his appearance as Jonathan (in demonic flesh form) and tries to take the mirror. He sends Dot flying and then has a blade to Jace’s throat. Clary though is willing to give him the mirror as long as he doesn’t hurt the other Shadowhunter. She tells him that he can take the mirror or he can come with them so that she can try and help him. During this exchange Clary is being honest of course and Jonathan doesn’t immediate kill Jace, possibly because her words are having an effect on him. However the warlock regains consciousness and magically pushes Jonathan away. She then creates a portal for Clary to get out of there (though she doesn’t want to leave) but is pulled by Jace. Dot is left behind with Jonathan holding a seraph blade menacingly. As the head of the New York Institute, Alec has been crazy busy trying to find Valentine. 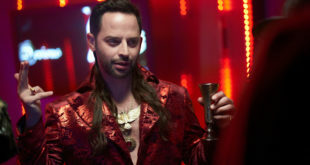 In the last episode, his father Robert revealed that the Clave had lied about having the Soul Sword when it was in fact still missing (Sebastian has it). But to prevent a Downworld uprising, the Nephilim are lying because revealing the truth obviously makes them look bad (doesn’t lying about it make it even worse?). When Alec misses a dinner he was supposed to have with Magnus, the warlock heads to his office and brings in dinner instead and chats about how the Downworlder meeting went with the Seelie queen. She went on and on about how the Clave were a bunch of liars but that he and Luke assured her that now with Alec as an Institute head he was going to be 100% transparent with them and that things were going to change. Except of course Alec doesn’t tell him about the sword. He has to find out from Luke who discovers the missing weapon via a fire message from his sister Cleophas. She temporarily was able to break out of her prison inside Val’s current headquarters and uses another Shadowhunter’s stele to get a message out to her brother. Magnus is sure though that there is no way Alec could have known because he would have told him. He goes back to the Institute and confronts his boyfriend, only to leave betrayed and angry. Alec did know and chose not to tell him because the Shadowhunter was afraid of the chaos it could ensue. The Nephilim also tried to explain that he didn’t want to burden Magnus with having to lie to his own people. But by lying he broke the trust between them which is crucial in any relationship. 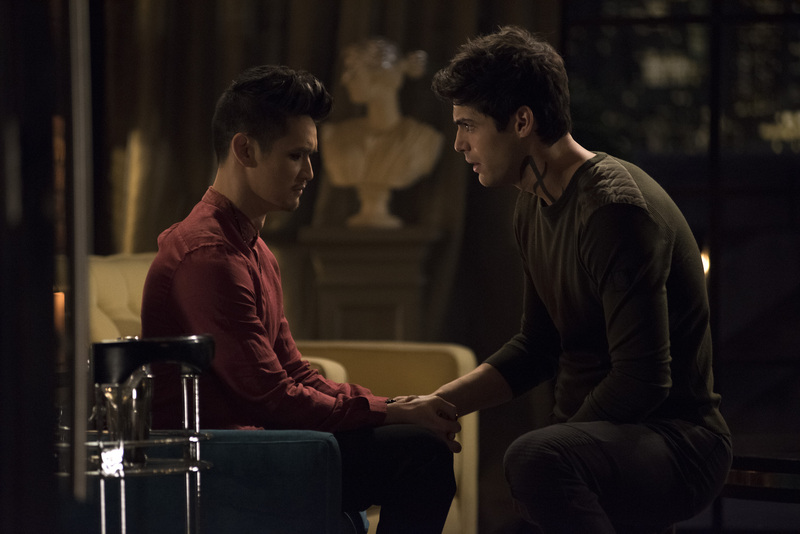 Hurt and upset, Magnus returns to his loft where Luke attempts to calm him down to no avail. The warlock decides that the Seelie queen is right and that they need to tell her that the sword is missing. He goes off to arrange a meeting back at the court. 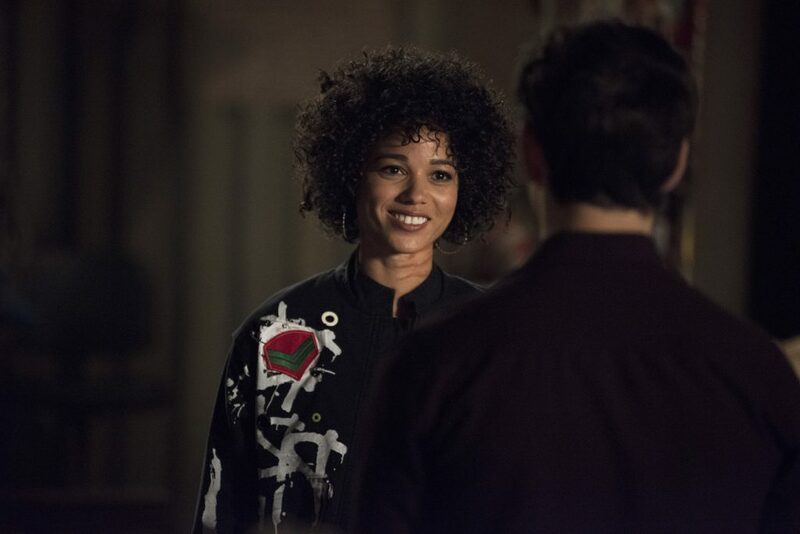 After Maia invited herself to Simon’s family dinner in last week’s episode, we all totally thought that her feelings for him were rekindled. She was amazingly supportive and helped the daylighter get through the challenges of having a broken heart and hiding his new status as one of the undead from his family. Simon heads to the Hunter’s Moon and asks the bartender out on a paddle boat date only to be rejected. She tells him that she’s busy with a lot of double shifts and studying. Good on him for asking her head on if she’s too busy to go on a date with him and she answers that she had a lot of fun at his family’s dinner but that she only liked him as a friend. Ouch. Later on, Simon is helping Izzy out by acting as a target for Max to track and hunt at the boathouse when Maia walks in while they are finishing a meal at the Jade Wolf. She’s obviously a little jealous that he’s hanging out with another girl albeit he was just trying to help a friend out. Izzy senses that these two need to just date already but Simon tells her that Maia doesn’t like him in that way and he’s done chasing girls who don’t want to be with him. Awww Simon!!!! Thankfully, Isabelle goes back to the Chinese restaurant and has a chat with the werewolf. Izzy bluntly tells the other woman that she knows that someone’s hurt her in the past but that doesn’t mean that she should give up on taking a chance. Maia in the meantime is cagey but does say that she lost control at one point and that can’t happen again. This little chat seems to get through to the bartender as she finally opens up and tells Simon later on that she’s made her fair share of mistakes with guys but now maybe she’s ready to take a chance, provided they go slow. Simon is totally cool with this because he is a vampire after all and has all the time in the world. Maia wonders if the paddle boats are still open and he’s all yes date is back ON. These two are so adorable. Oh Max, Max, Max, Max. The littlelest Lightwood has chewed more than he can handle despite having ridiculously great scores in the simulators back in Idris. He’s been training with big sis Izzy and tells her that’s been approved by the Clave for missions now. After the events where he nearly got killed by Kaelie, her overprotective instincts are on high alert. She talks to Alec saying that he can’t possibly let Max go on missions yet but he counters that their younger brother is a soldier like them and they need to treat him like one. Eventually she agrees that she’s can’t protect him forever because they are Nephilim. 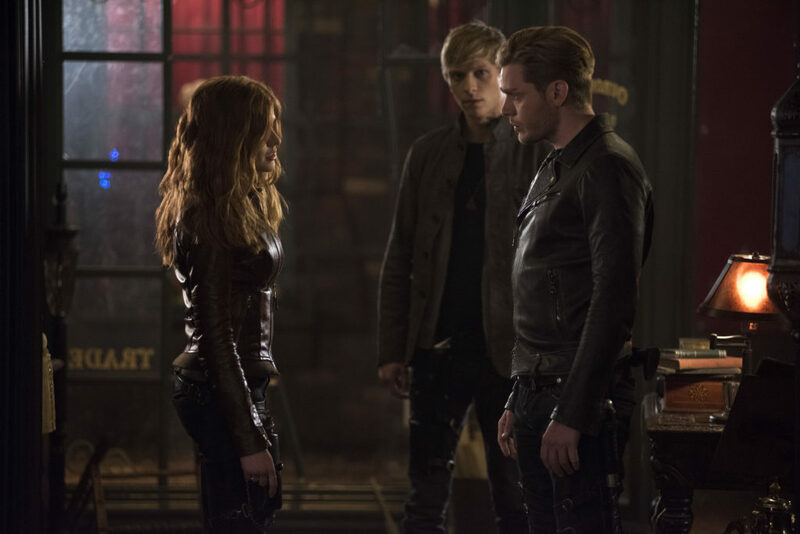 Max though has a nose for trouble and he eavesdrops in on a conversation between Alec, Jace and Clary regarding tracking Jonathan Morgenstern. Ever resourceful, he proves his talent as he is able to find a single strand of hair in Jonathan’s box and is able to locate him – right to his older brother’s office where Sebastian Verlac is rummaging through the drawers looking for the Mortal Mirror. Not realizing the danger he is in, Max confronts him, saying that he’s Jonathan. At the beginning of the episode Clary dreams that she is drowning in Lake Lyn again and sees another her also in the water. She begins to scream and is woken up by a shirtless Jace who hears her crying out. Clary why are you sleeping with your door wide open for anyone just to walk in? When Clace are back at the Institute after recovering the Mortal Mirror, she opens it and looks within to see a similar scene again. She’s inside the lake once more only this time the Soul Sword is with her trying to skewer her into a Nephilim kebab. Now what could that be about? Clary though realizes that she’s been getting visions and thinks this is a message, maybe from Ithuriel again trying to help out? Jonathan/Sebastian is kind of like a little lost demon puppy, he obviously doesn’t trust his father but at the same time still craves his love/approval. He is though 100% convinced that Clary is different and that she cares about him and he must be struggling with how to process those feelings because he’s only known how to hate his whole life. Oh Max!! Book readers know what’s coming but it doesn’t make it any easier to see it unfold on screen. My heart already has major anxiety for Izzy. Maia’s hints at losing control before over intense romantic feelings makes me wonder if she had turned into a werewolf and bitten a former significant other. This would be role-reversal as in the books she had been the one bitten by ex-bf Jordan Kyle. If so, that would be all kinds of interesting to see. Previous ‘Wynonna Earp’: Is Waverly an Earp?